Spelling mistakes can be very distracting for the reader; they can also be confusing if the writer has confused the word they have written with another that is similar. Spelling mistakes are the thorn in many writers’ sides, and even established writers’ have a spelling mistake or two creep into their writing. There are ways to help you avoid common spelling mistakes, and we will go through some of them here. If you know you struggle with certain words, why not help yourself and learn how to remember how to spell them. You can go back to school like teaching and use word division. 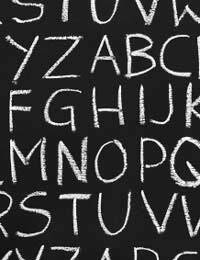 Divide the words at the syllables and learn how to phonetically spell it out. When you spell a word and you think it is incorrect; spell it out a few times in different ways. Learn how to spot that the word is spelt incorrectly and keep practising. Learning the meaning of the word you are using may also give you clues as to how to spell it correctly. There are few spelling mistakes that appear to be quite common. There is no way of telling if it is laziness when writing; honest, overlooked mistakes or people not realising which is the correct spelling. The words “its” and “it’s” often cause a lot of problems within English writing. The apostrophe in the word “it’s” is often left out when it should be there and mistaken by the possessive word “its”. A good trick to remember the right word is to say it out loud after writing the complete sentence. See if you can fit in “it is” or “it has” into the sentence. If not, you need the possessive word “its”. Proofreading what you have just written, is one of the best ways to spot spelling mistakes you didn’t notice as you were typing or writing. However, proofreading won’t help you if you don’t realise the spelling is incorrect in the first place. In these cases, an up to date dictionary is a wonderful tool to use. Using a dictionary is also a good way to remember the spellings of the words you struggle with. You could use your word processor’s spell check to help notice incorrect spellings. These programs usually have different language settings, so remember to set it to the one you need. However, don’t rely too heavily on these as they are not able to recognise the difference in two words spelt correctly, but used in the wrong context. For example, you may want to write the word “wrong”, but instead you mistype the word “wring”. Your spell check will not notice that you have made an error. When you use a computer program to rite your text in English, try not to rely on the spell check to correct your mistakes. Spell checks are great for showing you the right way to spell a word. So, try your best to take note of the word or words you have problems with, and take in the correct spelling. You could erase the word and type it out again using the correct spelling rather than let the spell check change the mistake for you. This way, you are more likely to learn how to actually remember and spell the word correctly. The English language has a lot of words and spelling can sometimes be confusing; however, with constant practice and determination, you will soon learn those tricky spellings.